What times we live in. Sometimes it seems as if everything we used to believe about the Middle East and North Africa — indeed about the world — is crumbling to dust before our eyes. At other moments, we seem to find ourselves unexpectedly presented with scenes from an old and familiar play with a happy ending; only to find ourselves back in the theater of the absurd. The recent visit by Israeli Prime Minister Benjamin Netanyahu to Oman and his reception there by Sultan Qaboos has once again aroused fevered speculation that normalization between Israel and the Arabs might really be gathering pace and that the “deal of the century” announced by US President Donald Trump shortly after he assumed office last year is perhaps more than just a slogan. I personally doubt this. I don’t think that one visit to Muscat, even combined with the playing of the Israeli national anthem, “Hatikvah,” at an international judo tournament in Abu Dhabi — or reports of meetings between senior Israeli political, intelligence and military figures in Cyprus and elsewhere — mean that we are any nearer a lasting solution to the Palestinian issue. And it is that — the creation of a Palestinian state on terms satisfactory to the Palestinians themselves and to other Arab leaders — that is the only real answer, regardless of how incapable the Palestinian leadership in Ramallah or the destructive refuseniks in Gaza, Beirut and Istanbul are of meeting the political challenge themselves. What is interesting in this is the willingness many people have to suspend critical judgement when they are presented with a story they passionately want to believe. And there is another such story, of more immediate importance and rather nearer to the Gulf, in Iraq. The last elections produced, in many ways, an unexpected result, with particular gains for the Sadrists (Sa’irun), a fracturing of the State of Law alliance and a poor performance by the list associated with then-PM Haider Abadi, who at one point had been seen by some in the West as the future of Iraq. The usual haggling then started. But, instead of a prime minister from one of the major Shiite parties, we ended up with one — Adel Abdul-Mahdi — who had once belonged to the Islamic Supreme Council of Iraq but who rebadged himself as an independent technocrat. And, instead of a president from one of the two main Kurdish parties, we got Barham Salih, who had broken with the Patriotic Union of Kurdistan and established his own party on the eve of the elections. The two posts seemed to go together, with a deal being hurriedly struck and then pushed through the Council of Representatives (perhaps improperly), even though there was substantial opposition from some of the more established Shiite politicians and from the Kurdistan Democratic Party. Both Abdul-Mahdi and Barham are, in different ways, impressive and certainly attractive personalities. Combined with Mohammed Al-Halbousi — the former governor of Anbar — as Speaker, this looked to many like a dream team. Perhaps at last Iraq could start to put its many problems, including sectarianism, corruption, terror, political fragmentation and bad governance, behind it and find a more constructive way to rebuild itself. The trouble is that those who think this way — and there are still lots who do, particularly in Western capitals — are again allowing themselves to be seduced by a comforting fairy story. Quite honestly, if any of these positions had really mattered, Iran would have made sure it had the final word. Tehran hasn’t gone away simply because elections showed most Iraqis wanted to decide their own future. Or because it has been forced to retrench by renewed US sanctions and the economic damage its own leaders have inflicted; or because of the clear evidence of popular discontent and the emerging threat from Daesh-related terror groups or Ahvaz separatists; or because repeated Israeli strikes on Islamic Revolutionary Guard Corps (IRGC) or Hezbollah positions in Syria and indeed Iraq have made it rethink its position in the wider region. These are all serious and real, but Iran has a plan and is doubling down on it. In Iraq, Iran had already purposefully penetrated the institutions of government, the economy and, in many ways, the social fabric of the country so deeply that it could not be removed without serious damage. Even the clear signs of growing resentment toward Iran in what had been the heartlands of its post-2003 support in southern Iraq had not been sufficient to shift its position. The protests in Basra and elsewhere were caused largely by the long-term inability or unwillingness of the central and provincial governments to invest in service provision in an area that produces the vast majority of Iraq’s oil exports. Instead, they allowed Iran to gain a position by which it exported power to Iraq from Iran, used Iraq as a captive market for its agricultural and energy products, and increasingly as a base for the construction of an embedded system designed to enable it to bypass financial sanctions. For example, through the informal dollar trade and the budget-linked funding mechanisms for the Iranian-aligned Popular Mobilization Units (PMU), developing a dependency it could and will exploit. In all this, the man to watch is not the president, the prime minister or the speaker. 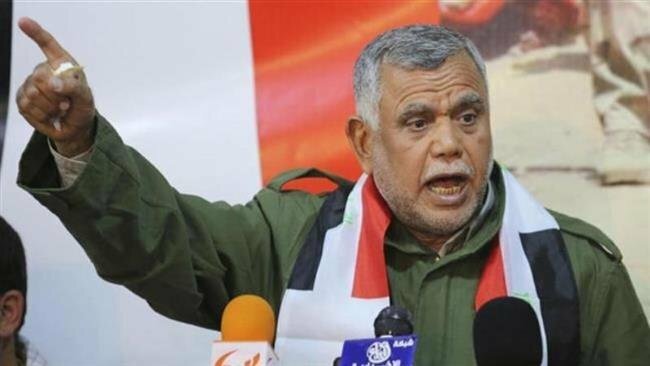 It is Hadi Al-Ameri, the commander of the Badr Brigade, who is ably assisted by Abu Mahdi Al-Muhandis of Kata’ib Hezbollah and Qais Al-Khazali of Asa’ib Ahl Al-Haq. That is where the real power in the state resides. They have just persuaded the PM to align the salaries of their PMU forces with those of the regular security forces, but without any proper supervision, thus formalizing a structure, under construction for years, where a parallel military force is created and its position entrenched in order to bolster those who simply use politics as a shield against scrutiny in order to exercise real but hidden power. And there is something else to watch. In April, Israel attacked an air base in Syria and killed several IRGC officers. In May, the Iranians retaliated by firing missiles at the occupied Golan Heights, causing minimal damage but provoking further extensive Israeli strikes inside Syria. These strikes were designed to impede Iranian efforts to resupply Hezbollah with more advanced and accurate missiles and to develop basing for their forces inside Syria, and to warn Iran of the consequences of continuing to do so. The trouble is that the Iranians continue to press ahead, simply accepting further damage — most vividly through an Israeli strike in Abu Kamal on the Syria/Iraq border in June — as a price to pay. The Israelis haven’t stopped either. Even after being blamed by Moscow for the recent downing of a Russian aircraft by incompetent Syrian air defenses, they have (quietly) launched at least three further strikes. But, under current conditions, they can delay but not definitively stop Iran. And consider what happened in early September, when the IRGC launched missile strikes on sites belonging to two Iranian Kurdish opposition parties, the Kurdish Democratic Party of Iran (KDPI) and the Democratic Party of Iranian Kurdistan PDKI, inside Iraq near Koya. These strikes were far more accurate than those the IRGC had earlier launched against the Golan and the missiles travelled more than 500 kilometers — the distance they would have to travel if they were fired not from Iran but from inside western Iraq toward Israel. Tehran hasn’t gone away simply because elections showed most Iraqis wanted to decide their own future. The KDPI, at least, had conducted some low-level attacks inside Iran, but the PDKI had not. So the message couldn’t just be about what to expect if you attack Iran. Nor could it just have been about the burning of the Iranian consulate in Basra the day before. Iran is very deliberate in what it wants people to think. In this case, it was almost certainly declaring a willingness to hit back at anyone in the region, not just inside Iraq. Even Israel — which does not want a third potential front against Iran — is not safe. Iran is constantly improving the accuracy of its ballistic missiles (an area of international scrutiny actually weakened by the nuclear deal) and both Syria and Iraq are now potential theaters for offensive action against those who threaten the Islamic Republic. Iran has also probably transferred some of the same missiles it used to hit Koya to PMU forces in Iraq. Shades of Hezbollah and the Houthis. Israel is watching all this like a hawk. It wouldn’t surprise me if that was really the point of Netanyahu’s trip to Oman. But it is not clear how the declared policies of the US, the UK and indeed other EU states will help address the challenge. The US is at least genuinely ratcheting up the financial and economic pressure on Iran and Hezbollah and is making noises about remaining in Syria to support the Syrian Democratic Forces in the north and continue combating Daesh (which never went away and is now coming back strongly in certain areas, but that’s another story). But there is some doubt about how joined up this all is. Meanwhile, neither the UK nor its EU partners have a clear and comprehensive position. Nor, quite frankly, do the Arab states of the region, which are distracted by other issues (something that only benefits Iran). That spells danger.